I thoroughly enjoyed this book about the effect that WWI had on two of my favorite authors, how their experiences translated into the stories they wrote, and how their faith in God was strengthened and established despite the horrors of war. This is heartbreaking to read, because it gives such detailed personal accounts of the war, the suffering and fear they went through, and the terrible losses of friends and family. But it is also wonderfully interesting to learn about the history of that time, and the misguided Utopian philosophies that were shattered by the war. I was impressed with the scholarly yet accessible writing style, and the way in which the historical and personal information was organized and presented in each chapter. 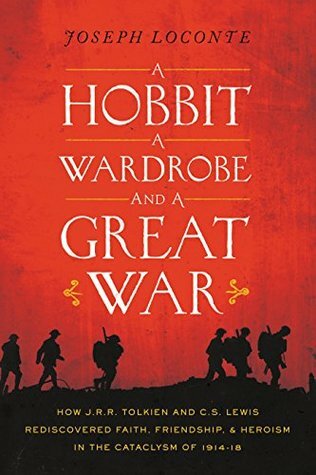 This clearly explained how Tolkien’s and Lewis’ personal experiences were entwined in the larger story of the war, and the popular philosophies and political thinking of the time.